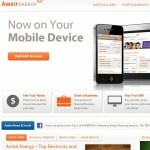 Ambit Energy by Jere Thompson, found at ambitenergy.com, is a multi level marketing based energy company that focuses on recruitment as its larger source of revenue than making revenue by providing quality service. The business is based out of Texas and provides service in that particular area, though they have sales people nationally. Very problematic issues include false claims that Ambit Energy is backed by Shell Oil. Shell killed that quickly. Although there are complaints and allegations of customers being double billed, even a Federal investigation into the company and several lawsuits including one for a billion dollars, I will focus on the questionable sales model and other problems. By questionable, I mean to say that the ratio of success by the top team that has been there from the beginning to the success rate by those at the bottom is not encouraging, to say the least, and that is the usual story of most mlm based businesses. Ambit Energy’s mlm compensation plan is no different. There are those who say they are involved in only selling the energy service packages directly to consumers through the affiliate plan. These distributors also say that while they find it’s a more lucrative way of earning through Ambit Energy, the overhead is also considerably lower. While I’m inclined to believe that may be the case, I know that 97% to 99% of the people involved in most mlm’s do not enjoy much success at it. The affiliate plan also eliminates the headache of having to recruit others to recruit themselves. In the case of Ambit Energy though, it is not the best of products to stand behind, as there is a majority of energy customers who are not very satisfied with the service and billing practices. Investing your time and money into Ambit Energy is a gamble, at best, as many of these types of mlm don’t stay around very long. This is not much of a surprise when you take into account that this company treats their energy customer base poorly. I can think of a handful of companies just like Ambit Energy that have gone the way of the Dodo bird. This is usually because the pyramid like structure cannot sustain itself after a while. Therefore you might see the high risks involved in doing business with Ambit Energy. As much as I would love to call this a scam, they do provide a product, but as shabby as that service may be, and as terrible as their mlm arm is, we just do not recommend doing business with, nor putting your time and money into Ambit Energy.